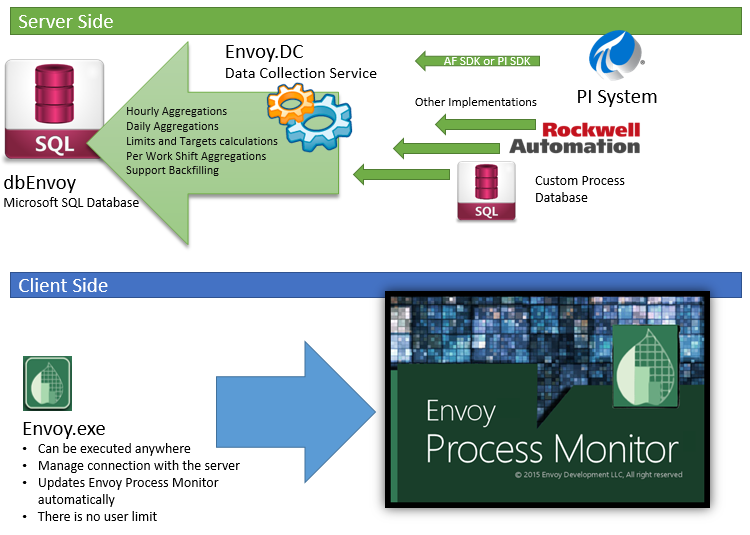 Envoy Process Monitor (EPM) allows users to quickly identify all anomalies in a process without resorting to trend examination, spreadsheets, or DCS alarms and do it instantly in real time. EPM looks at all tags in a process or a selected subset chosen by the user such as PI AF elements or KPIs. Users can also establish targets and limits using a query to identify best in class performance. For example, on grade 35, calculate targets and limits for the grade runs in the past six months downtime < 1%, quality > 99, costs <$35/ton, and production rate > 1000 tpd. When users pull data, they can elect to return only those tags outside of limits. They can also apply a filter to view only relevant tags. This can be by process area, process element (reliability, quality, reactor, machine, etc. ), magnitude away from target, etc. Data is refreshed every ten minutes. EPM also addresses the longevity of process deviations so that users don’t have to constantly be reminded certain pieces of equipment are down or in need of maintenance. This function allows users to identify process deviations that occurred in the past, as well. For example, what tags were outside of limits at 1 pm on Oct 1, 2016? EPM includes a trending tool so users can view multiple tags by grade or product without showing data collected during downtime. 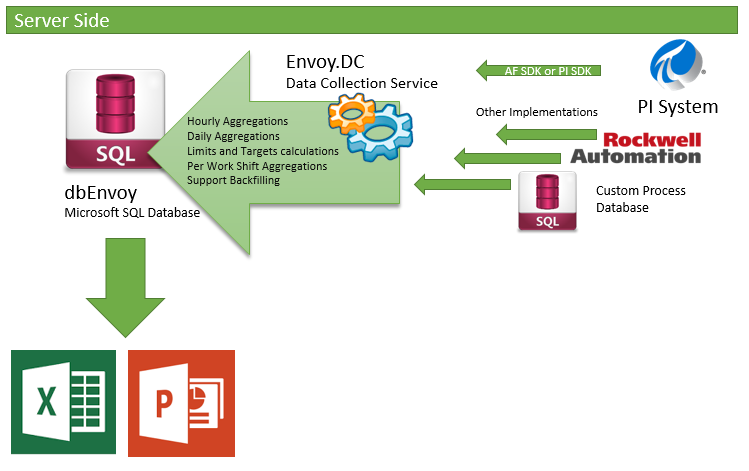 EPM pulls in data from data historians such as PI, then aggregates that data into hourly averages, daily averages, etc in a SQL database. Users at the mill use a front end client to view the data. PowerPoint files contain a list of all tags (variables) that are outside of the normal operating footprint, listed in a manner that prioritizes tags that have been outside the longest since the last report as well as severity. 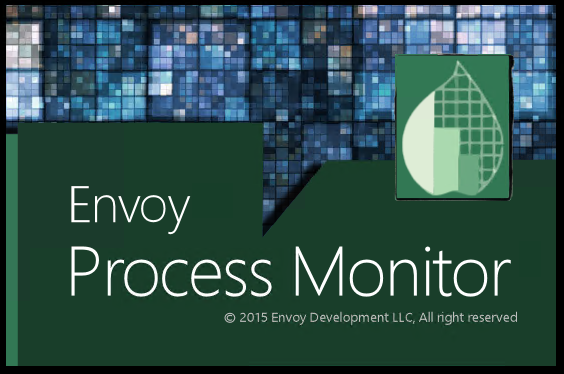 Why Use Envoy Process Monitor? Still Using Trends and Excel Add-ins to analyze data from your historian? Tired of relying on process engineers’ spreadsheets to identify critical issues? Spending too much time trying to figure out what targets and limits should be in dashboard applications? Wish you could instantly identify what historian tags changed when a Key Performance Indicator (KPI) changed? Tired of paying huge licensing fees, implementation costs that often exceed license fees, to be further insulted by “buying back the software” ever five years due to maintenance fees? If so, then Envoy Process Monitor is the answer.